The Tomorrow Sleep does a good job in reducing heat due to the gel foam layer in the top comfort layer combined with the phase-change material in the cover. The nature of its innerspring coils allows good airflow, and perforated edge panels around the coils contribute to this. As for the exterior, the Oceano mattress has a beautifully designed cover that is stretch-knit and made of highly breathable, soft and smooth plant-based Tencel. This 4-way stretch cover allows you to experience the full benefits of the memory foam comfort layer, while the soft Eurotop with tailored tweed sides, custom handles, and button-tufted upholstery add to its luxurious feel and appearance. The micro coil construction and gel memory foam layers provide a pretty high degree of bounce and responsiveness with the Oceano, and 14″ thick design provides good support to heavier sleepers. The Oceano mattress is a very comfortable. The tufted soft Tencel cover makes a really comfortable sleeping surface, and the combination of the top comfort layer of gel memory foam and micro coil layer provides a very supple and comfortable top layer to the mattress. 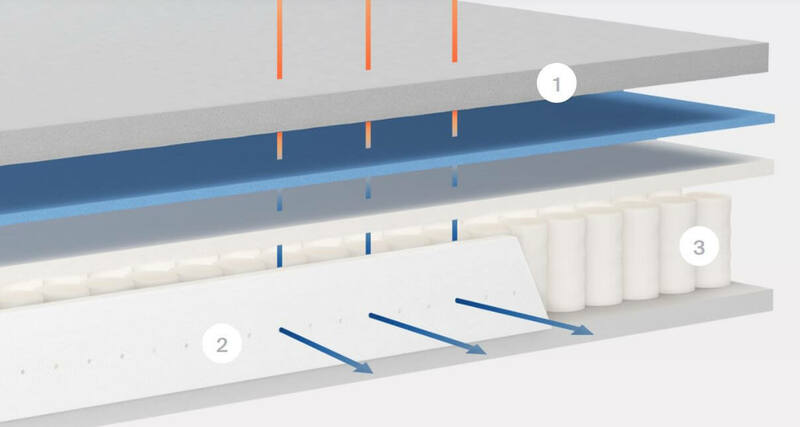 This mattress, like the Tomorrow Sleep, does not retain heat due to its multiple layers of gel memory foam, micro coils, ventilated Airlux foam and Tencel top cover. So you won’t get the sticky sweaty feeling that some foam mattresses cause. The hybrid design of this mattress that allows the air to circulate freely through it and will keep you cool and comfortable. Again, like the Tomorrow Sleep, the Brentwood Home Oceano mattress does a great job with minimizing sinkage. However, due to its hybrid design, there is a decent amount of this although this largely depends on the weight of the sleepers. There is a small amount of motion transfer with this mattress. The foam and micro coil construction of the Oceano causes less motion transfer when sleeping and changing positions than the Tomorrow Sleep. Its edge support is solid, and edges do not compress when you sleep close to them. The Brentwood Home Oceano also gets high marks in this category for not releasing any noticeable smell upon opening the box which many foam mattresses tend to have due to their plastic packages. Its hybrid nature also contributes to minimizing the amount of off-gassing. 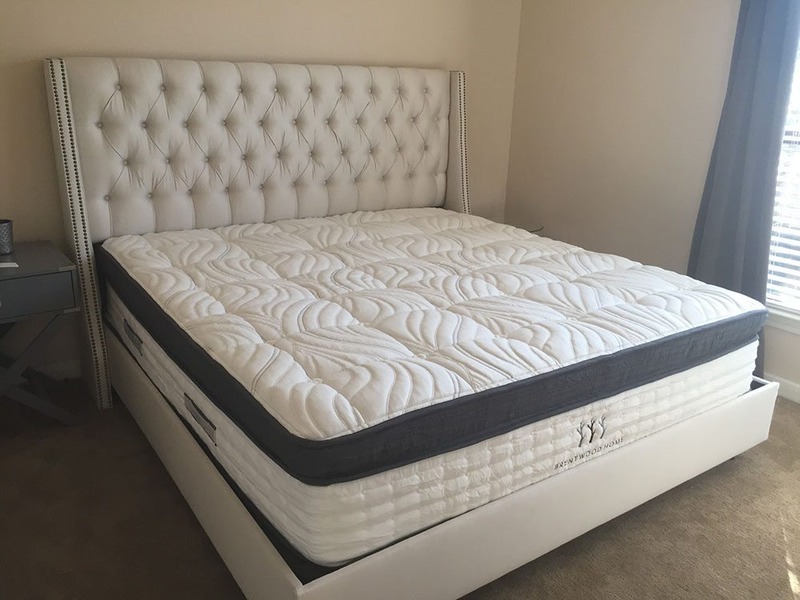 The Oceano is the premium hybrid mattress in Brentwood Home’s mattress lineup coming in at $1495 for a Queen, which is a little bit pricier than the Tomorrow Sleep, but being constructed of the highest quality materials, it is definitely worth your money. Below is our comprehensive side-by-side comparison of the Tomorrow Sleep vs. Brentwood Home Oceano mattress.